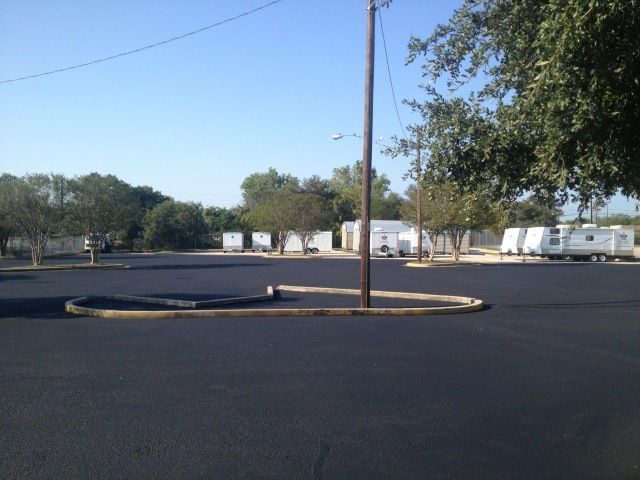 There’s only one way to make your asphalt in Austin last for many years to come, and that is to make sure you perform regular asphalt maintenance procedures. Just like any other portion of your home or business – from exterior and interior paint to roofing to flooring and carpeting – the asphalt surfaces outside your property need to be properly maintained in order to keep them looking good and to prevent having them totally replaced for as long as possible. The experts at Bennett Paving Inc. can provide you with a recommended maintenance schedule, suggesting which procedures you should have done to your asphalt surface and how often. Our trained professionals understand what it takes to keep asphalt surfaces in tip-top shape. Remember, the more you maintain your hard exterior surfaces, the longer they’ll last! One of the most important things to remember when it comes to maintaining your blacktop surface is to keep up with minor repairs. If you notice slight depressions in the surface or cracks forming, it’s vital to have those repairs done as quickly as possible. If you wait too long, the minor damage will get worse in a hurry. And what might have been a minor repair bill could turn into a major expense. If you suspect that your asphalt needs some minor repairing, contact the Bennett Paving experts for a free estimate. We can recommend the right repairs for your surface and, hopefully, keep you from incurring a much larger repair bill later on. You can never underestimate the importance of seal coating as a regular part of your asphalt maintenance. A seal coat will protect your asphalt from damage due to weather, excess water from nearby irrigation and fluids that spill onto the surface from vehicles. Contact us today for more information about seal coating, how it can protect your asphalt and how often you should have it done. At Bennett Paving, we’re proud to live and work in the Central Texas area. Not only is our business here, but our employees live locally and are raising their families here. Since we’re all local residents, we understand how our Central Texas weather can affect your asphalt surfaces. And we know best how and when to perform simple asphalt maintenance in Austin TX that will help your surface look like new for years to come. Since our trained experts have many, many years of combined experience in this industry, we understand better than anyone how important it is to repair asphalt surfaces as quickly as possible when they begin to show signs of damage. You can rest assured that we’ll respond quickly to your needs, and we’ll get the job done when we say we will! Not only do we respond quickly, but we promise to provide our services at the most fair and reasonable price possible. We understand what it’s like to live within a budget, and we’ll do everything we can to stay within yours! Call us today for a free quote and to find out more about Austin asphalt maintenance services.